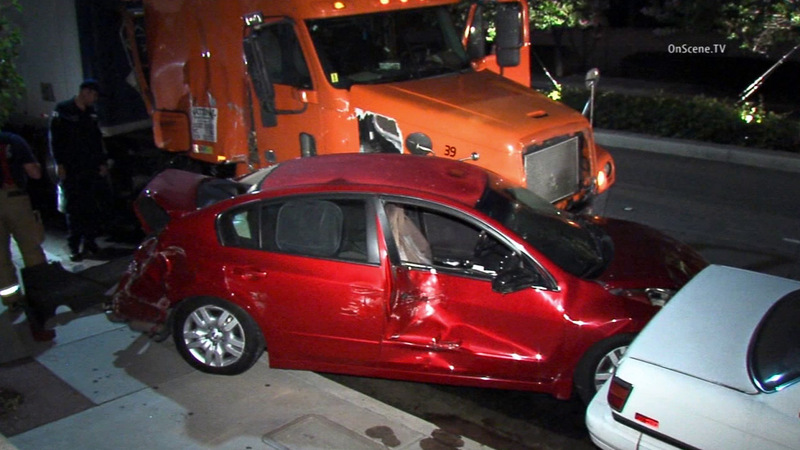 BREA, Calif. -- A big rig driver suspected of driving under the influence slammed into 10 empty parked cars in a Brea neighborhood early Saturday morning. The crash was reported at about 2 a.m. on Birch Street near Poplar Avenue, an area with posted signs restricting commercial traffic. Fuel could be seen leaking from the saddle tank of the big rig. The big rig driver's dog was taken by animal control. Birch Street was temporarily closed as police investigated the crash.